Covering cloud computing from what the business leader needs to know, this book describes how IT can nimbly ramp up revenue initiatives, positively impact business operations and costs, and how this allows business leaders to shed worry about technology so they can focus on their business. It also reveals the cloud's effect on corporate organization structures, the evolution of traditional IT in the global economy, potential benefits and risks of cloud models and most importantly, how the IT function is being rethought by companies today who are making room for the coming tidal wave that is cloud computing. Practical and timely, this book reveals why it's worth every company's time and effort to exploit cloud computing's potential for their business's survival and success. Michael Hugos, Principal at the Center for Systems Innovation [c4si], writes, speaks and consults on strategies for IT and business agility and mentors development teams. He spent six years as CIO of a multibillion?dollar distribution cooperative developing a suite of supply chain and business systems, transforming the company's operations and revenue model. He won the CIO 100 Award and Premier 100 Award for his work, and is also author of Essentials of Supply Chain Management and Business Agility.DEREK HULITZKY, Vice President of Content Development at a global technology media company, is a keen industry watcher with an intense focus on how CIOs and companies manage their technology teams and responsibilities. A seasoned technology marketer, he is an accomplished event and panel moderator with?a rich background in technology content creation, audience development, and management. Chapter 1: The Evolution of Corporate Business Structures. Example of a New Corporate Organization Structure. Model of a Responsive Organization. Cybernetics is about Control and Communication. Profit Potential of Self-Adjusting Feedback Loops. Viable Systems Model: A Framework for Business Agility. A Cloud-Based Model for Business Organizations. Chapter 2: The New Economics of Business. Moving to a Variable Cost Operating Model. Information Technology Finally Becomes a Utility. Variable Cost IT Operations Enable Business Agility. A Combination of Technologies Creates Cloud Computing. Implications of the Transition to Cloud Computing. Chapter 3: Key Technologies Used in Cloud Computing. Chapter 4: Data Security and Service Reliability. Will Your Cloud Service Provider Be Here Next Year? What to Look for in a Good Service Provider. Elements of Good Data Security Policy. Cyber Threats and Perimeter Security in Cloud Computing. Encryption: The Next Frontier of Data Security. Contracts, Service Level Agreements, and Guarantees. Performance Penalties and Restitution Clauses. Chapter 5: Moving to the Cloud: When and Where. A Business Strategy Based on Agility. Using the Cloud for Business Advantage. Business Applications with the Greatest Potential. Case Study: Selling “Designer Chocolates”. Chapter 6: The Transition from Managing Technology to Managing Business Processes. The Fixed Cost of Maintaining Large Data Centers Is Being Challenged. Public, Private, and Hybrid Clouds. Issues to Consider When Thinking about Private Clouds. The Cloud Is a Platform for Managing Business Processes. Automate Routine Processes and Focus People on Handling Exceptions. Four Technologies Enable Responsive Business Processes. Chapter 7: The New Role of Information Technology. A Tumultuous Ride for the Chief Information Officer. The End of IT as We Know It. Changes in IT and Business Unit Staffing. Evolution of the Traditional Corporate IT Department. Agile IT Professionals using Cloud Technology are Embedded in Business. Operating Units. Cloud Computing Separates Datacenter Operations from System Development. Do We Need Enterprise Technology Architects, or Business Architects? Companies Are Investing in New Business Process Design. A Renewed Focus on Using Technology for Profit and Competitive Advantage. Chapter 8: Five Profit Enablers Driving Business to the Cloud. Five Profit Enablers Driving Business to the Cloud … and Away from Corporate. Data Centers. 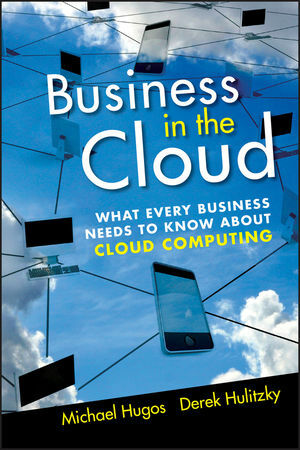 Chapter 9: Business Impact of Cloud Computing. New Economic Engines for Growth. Get Ready, Get Set, Go: Success in a Real-Time Economy. Collaboration Is Now More Profitable than Control. Necessity Makes Radical the New Normal. Chapter 10: Global Implications of the Cloud. Cloud-Based Collaboration Enables a New Way of Working: The Dynamics of Swarming. Real-Time Visibility Could Make Us a Whole Lot Smarter. New Realities and New Opportunities.